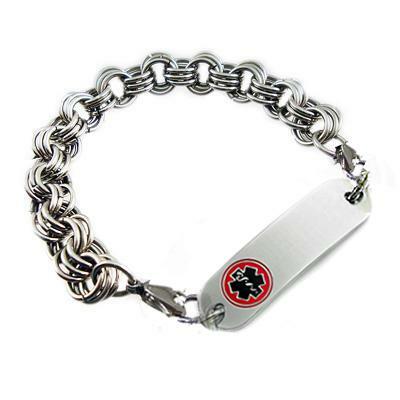 316L Surgical stainless steel bracelet chain! Chain Link Size: 7mm round . Medical ID Tag is flush, embossed and enamel filled with your personalized dark laser engraving - FREE! No further discounts on this laser engraved product. 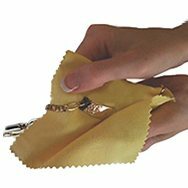 Price includes our Petite stainless steel medical ID tag with laser engraving, interchangeable stainless triple link chain and two lobster clasps..